If you are relocating into a new office space or looking to revamp your existing location, it is easy to get overwhelmed by the jargon used by construction firms. One of the primary words you will often hear throughout your office’s construction is “fit-out.” This encompasses a process intended to make your building suitable for your business’ occupation. There are two primary fit-out categories, including A and B. Category A commercial office fit-outs in Sydney encompasses projects by a property’s developer to make your office space habitable. These include the fitting of ceilings, wall coverings, flooring, and electric outlets, among others. Category B fit-outs are a business owners’ responsibility, and they comprise all elements that will boost your workspace’s functionality. These include reception areas, furniture, workstations, décor, and branding. Here are guidelines to help you incorporate your brand into your overall office design. Before you start with your office’s interior design, establish the brand values you want to reflect. Other than the colour scheme, trademark, and logo of your brand, add your brand’s personality to the design. Consider the words you would want your clients and employees to associate with your brand, then use them to guide your choice of different elements. Differentiating your employee and client spaces does not seem to be an issue when designing your office. Try to come up with different branding ideas for the employees and clients spaces since these two categories will view your brand differently. This will enhance the brand’s impact on your clients and employees. The touchpoints in office design are the ones the clients will interact with. The biggest touchpoint area is generally the reception. This should be branded with your brand values and associations to make a perfect first impression on your visitors. 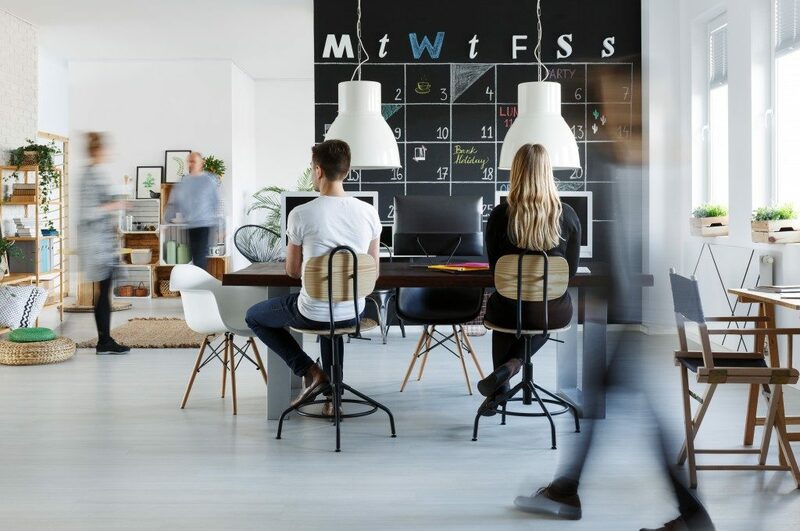 You should also take great care when designing your employees’ break areas to guarantee that they are places where your workers will relax and rejuvenate. Based on the character of your products, showcasing them is one of the most powerful design techniques for modern office spaces. Nothing will, after all, tell your brand’s story quite like your products. Companies dealing with food, for instance, can make their testing kitchen a central element in their office design. The colour scheme of your office does not necessarily have to be that of your brand. If your brand’s colours are too overwhelming, they might look too busy in your office. If your designer advises that the brand colours might be too outlandish, get colour schemes that match your workspace. Intense colours will often make a good option for spaces where creativity is essential, while cool ones will suffice for offices where employees work under extreme pressure. A category B fit-out will transform any type and size of office space. The tips mentioned above, handled by the right company, will give you an inexpensive avenue for showcasing your brand and getting an optimal office look. This way, you can be guaranteed of your workers’ productivity and the best impression on clients.